Gaming’s biggest segment is quickly becoming mobile. Love it or hate it, you cannot deny the ubiquity of smartphones, and the games that are played on them. The transition to mobile helped Epic Games push Fortnite Battle Royale’s player count over 200 million, to the tune of hundreds of millions of dollars in revenue a month. Activision has announced that it is bringing one of its biggest properties to mobile, with Call of Duty Mobile soon available in your pocket. 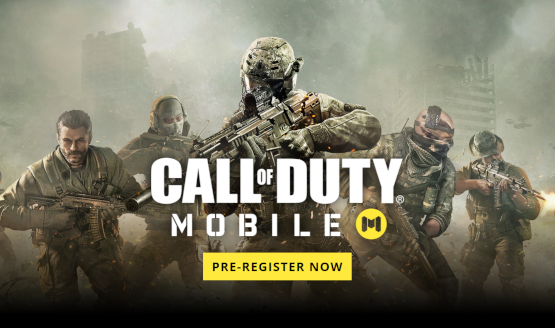 Call of Duty Mobile was announced in a press release, complete with a website where prospective players can sign up to be notified of future betas. Android gamers can also pre-register for the game on the Google Play Store, which will cause your smartphone to alert you as to when a playable version of the game is available, even if it’s just a beta. Call of Duty Mobile is described in the press release as “a new free-to-play game that brings together maps, modes, weapons, and characters from across the Call of Duty franchise, including Black Ops and the Modern Warfare series.” Developer Timi studio, a Tencent company known for games such as Age of Valor and Age of Gunslingers Online, has been tapped for this release. So, what does this official Call of Duty Mobile game look like? Well, there is an extremely short preview video posted up on the official website. It looks like pretty much any other Call of Duty game, specifically a boots-on-the-ground experience. The graphics appear to have the quality of a downscaled PS3 version of the series, which is crazy to think about when you consider the fact that this will be running on mobile devices. Timi studio has chosen to use the Unity game engine, which runs fairly well on most platforms. 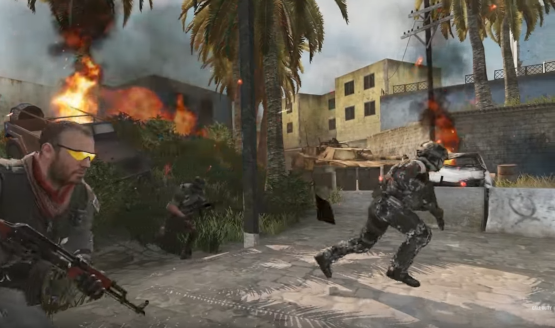 In the trailer provided, some fan-favorite characters such as Captain Price appear to be included, while the text “MORE TO COME” flashed across the screen in segments, which ended with what looked an awful lot like a battle royale mode. There are a lot of ways that Call of Duty Mobile could get things right. First of all, the price (free) is right, at least to get a big influx of initial players. Naturally, microtransactions will have to accompany the game, unless Activision is going for an ad-supported free experience, which, given their track record, seems unlikely. So long as the in-game economy is well balanced, there is little reason to think this aspect of the game will surprise anyone. Assuming Call of Duty Mobile follows in the well-established norms of freemium games, then all in-game items will be able to be earned via grinding, or for purchase with premium currency. Ideally, the grind won’t be too time consuming, but enough of an annoyance that a decent chunk of players will fork over a couple of dollars to avoid putting in the hours. What are some potential downfalls that players can hit with Call of Duty Mobile? Controls are the first thing that come to mind. Even in the short trailer just released, controls appeared to be of the dual virtual stick variety – there was no mention on the site of any support for hardware controllers, which are most definitely a thing on smartphones. While Activision promises that they are targeting high-end devices while simultaneously “[making] it broadly accessible for as many other devices as well,” there is no guarantee that the game will run well on even a mid-spec phone. Considering many people often upgrade their phones every two years anyway, this may not be that big of a deal. Let’s not forget lag, however. Games such as Call of Duty require quick reflexes, and an equally robust connection to the internet in order to register kills. With a projected launch of the first betas this summer in “select regions,” 5G will most definitely not be an option for 99% of customers. Gaming on LTE connections can be a harrowing experience during commutes, and you can forget about 3G or lower connections. WiFi will be a must for any serious mobile gamers out there. Are you excited at the prospect of playing Call of Duty Mobile during your commute, or downtime away from your home console? Does the idea of a free Call of Duty make you want to download it as soon as it’s available, or are you already wary of the plethora of microtransactions which are likely to appear as soon as the game launches? Or do you feel that Call of Duty belongs on consoles and gaming PCs, trends be damned? Let us know in the comments below.